I’ll be selling my handmade cards, crafts & artwork PLUS there’ll be secondhand bargains, Christmas chocolate goodies and a Lucky Dip! Love Unicorns? And let’s face it, who doesn’t? Look what I upcycled today! Yep, it’s that time of year again – Swansea National Waterfront Museum’s annual Green Fayre! I’ll be selling my handmade cards, crafts & gifts with my illustrations printed on – all this in addition to lavender bags, decoupaged/upcycled gifts and a Lucky Dip (yes, chocolate WILL be present). Phew! What does the fox say … ? 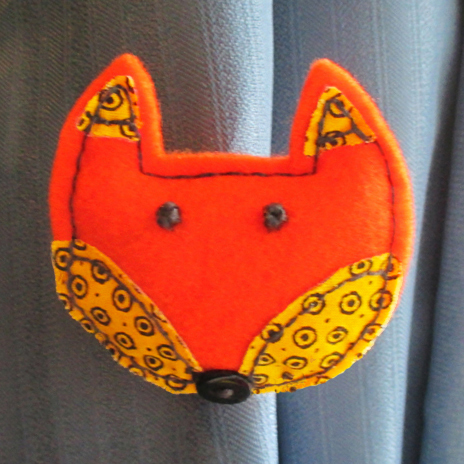 … Well, he says to check out my handmade felt fox brooch using upcycled fabric scraps! Available to buy soon on Folksy! Keep Calm … NEW Handmade Felt Flower Button Brooches to buy! 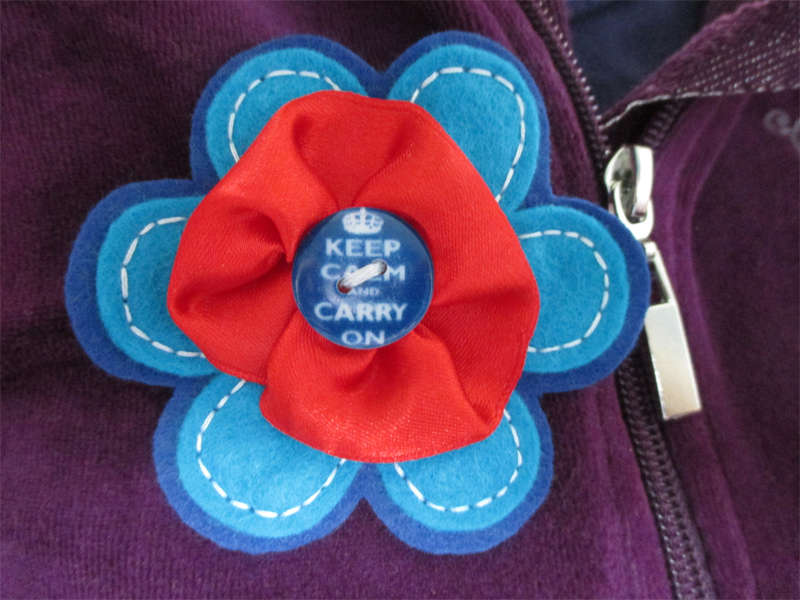 NEW Handmade Keep Calm and Carry On Blue and Magenta Felt Flower Brooches with rosette ribbon, only £4.00 each (yes, that includes FREE P & P!) on Folksy! 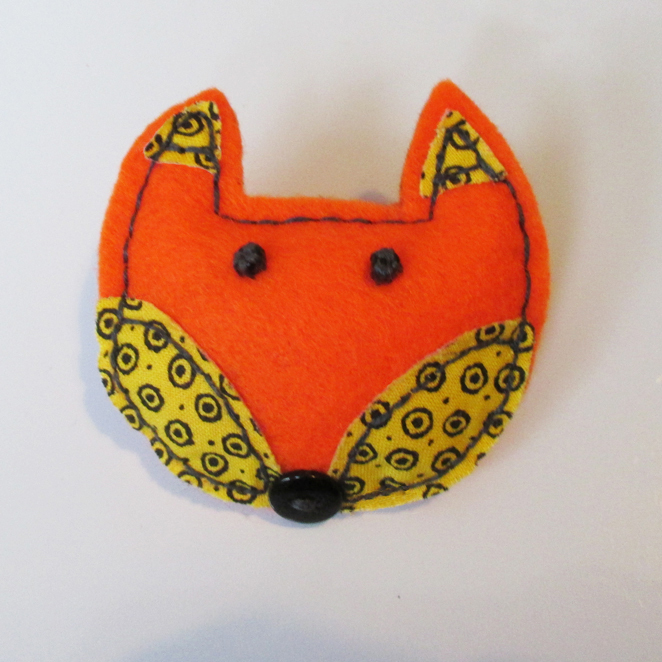 Can be used as a brooch or badge to decorate clothes, bags, curtains or whatever you like! The Keep Calm and Carry on phrase is now a famous British motto, so what better way to wear it with pride than as a flower brooch?! 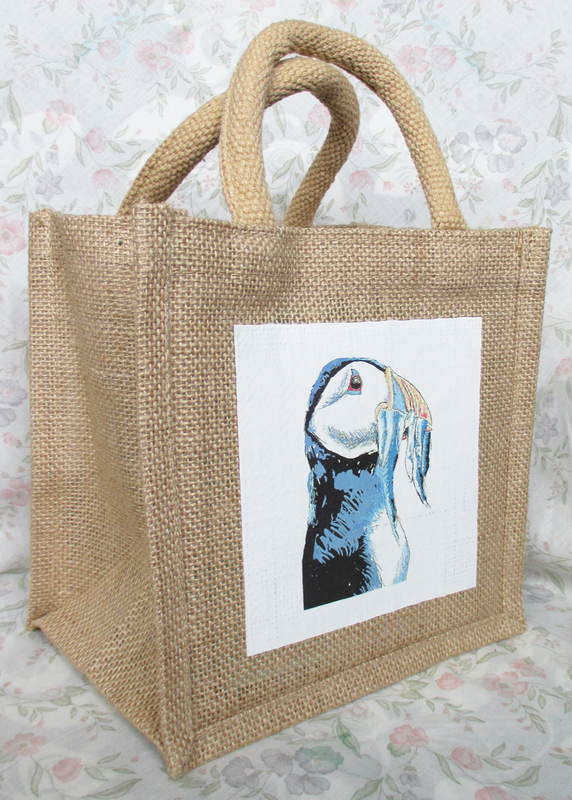 NEW to buy – Natural art printed Jute Bag – strong, sturdy and perfect for shopping! P & P included in price!